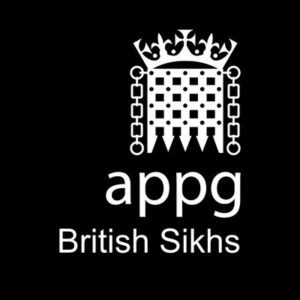 Correspondence is on record to show that she and the Sikh Federation UK (SFUK) – the APPG’s secretariat, have systematically tried to keep Sikhs in the Lords out of the APPG. Despite this, Lord Singh persuaded Lord Suri, to accompany him to a meeting of the APPG on 9th October 2018, at the request of Seva School to help them in fighting a DfE attempt to force the school to join the non-mainstream Nishkam multi-academy trust, rather than a mainstream Sikh Trust. The parent’s concerns were covered in Schools Week. The DfE were not being helpful as Preet Gill writes; they merely repeated their threat that unless Seva School joined Nishkam, considered a New Religious Movement by many Sikhs, they would close the school down. Preet Gill completely ignored the concerns of the Sikh community detailed by Lord Singh and Lord Suri. Lord Singh and Lord Suri were made less than welcome at the meeting. In response to a query from Lord Singh as to why Sikhs from the Lords were being excluded from the APPG, Preet Gill said that a letter of invitation had been sent by Pat McFadden. Pat McFadden to his credit, openly disagreed, saying that no invitation had been sent to the Lords. Lord Singh said that the APPG office holders should include someone from the Lords. Preet Gill ignored his suggestion. In the meeting and subsequently, Lord Singh asked for minutes of the meeting be sent to him. Despite several requests, the SFUK which acts as secretariat to the APPG has not done this. Lord Singh, Lord Suri and Baroness Verma have subsequently made their position clear. They strongly object to the extremist SFUK running an APPG which should be for ALL Sikhs in Parliament and are unwilling to be a part of the APPG while Preet Gill and SFUK are in charge.